This melt in your mouth candy wasn’t actually mentioned in a book- it was found in the Prisoner of Azkaban film. However, I couldn’t resist making a snowflake-inspired sweet for Christmas time. It seems that the Wizarding World of Harry Potter has their own version of glacial snowflakes- a peppermint candy of sorts. I had two thoughts behind this Honeydukes sweet, but the recipe I ended up creating was a jar of snow using tapioca maltodextrin. Tapioca maltodextrin is used in molecular gastronomy, as it turns liquids with high-fat content into powder. Like freshly fallen snow, this bottle of glacial snowflakes is powdery, but when squeezed, it kind of holds together. Pop it in your mouth and it melts, like snowflakes that have just landed on your tongue. To make it Christmasy, I’ve made the ‘snow’ taste like Christmas cookies. Make this melt-in-your-mouth Honeydukes treat for the Harry Potter fan in your life this Christmas. 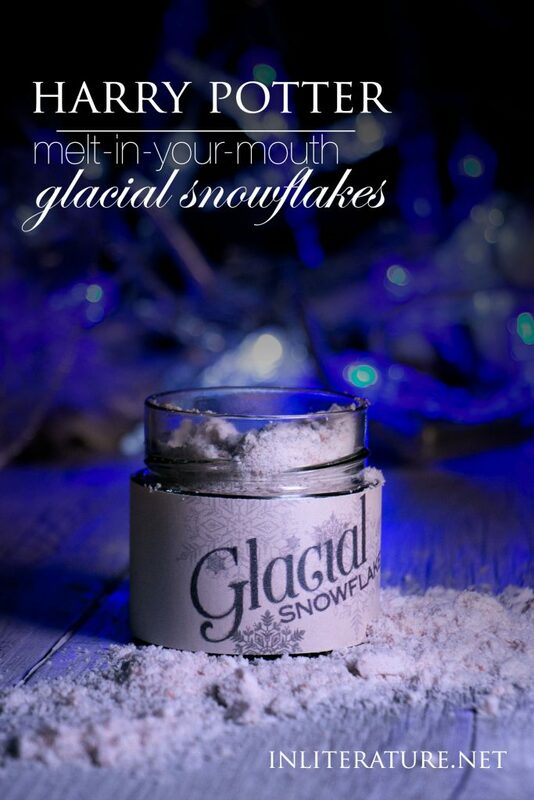 This bottle of glacial snowflakes is like tasting freshly powdered Christmas! Stir together the coconut oil, pumpkin pie spice, vanilla paste and white sugar, and heat up in the microwave so coconut oil is melted. Stir again, then pour in tapioca maltodextrin bit by bit until you have powdery snow. Pour the snowflake powder into a glass jar, download for free and the pretty Glacial Snowflakes label by clicking the button, and you’ll have a delicious treat as a gift for a Harry Potter fan! Not sure where the file went to? Try checking your download folder on your computer. 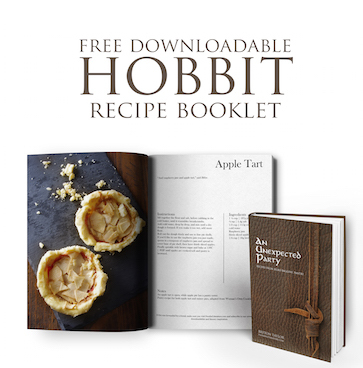 The button automatically downloads the label for you!